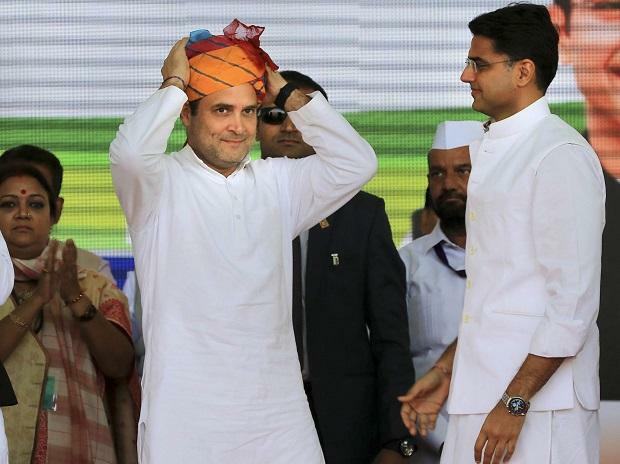 The National Commission For Women issued a notice Thursday to Congress president Rahul Gandhi for his "extremely misogynistic, offensive and unethical" remarks against Defence Minister Nirmala Sitharaman at a rally in Jaipur. In the notice, the national women's panel said it has taken suo motu cognisance of news reports which appeared in various print and electronic media dated January 9 "wherein it is reported that you have allegedly made remarks insulting against a woman minister". "What is @rahulgandhi trying to imply with his misogynistic statement- "... ek mahila say kaha meri raksha kiijiye."? Does he think women are weak? The irony- calling an accomplished defence minister of the largest democracy a weak person. @nsitharaman @narendramodi @ncwindia," NCW chief Rekha Sharma tweeted. Gandhi at the farmers' rally on Wednesday had said, "The watchman with a 56-inch chest ran away and told a woman, Sitharaman ji, defend me. I won't be able to defend myself, defend me." The NCW in the notice said, "It has been reported that you allegedly said "..... the PM ran away and asked a 'mahila '- a veiled reference to Defence Minister Nirmala Sitharaman - to defend him". The commission said the remarks are extremely misogynistic, offensive, unethical and shows an extreme disrespect towards the dignity and honour of women in general. It also said that the NCW "strongly condemns such irresponsible and disparaging views of persons holding responsible positions". Prime Minister Narendra Modi also tore into Gandhi for his remarks. Reacting to the prime minister's scathing criticism, Gandhi, in a tweet, said, "With all due respect Modi Ji, in our culture respect for women begins at home.